Research interests: My research interests include quantitative literacy and how it is fostered, as well as policy surrounding general education courses at the post-secondary level. Right now I am working on a project to clarify how students’ understanding of causation develops over time. Samuel “Luke” Tunstall grew up in Stem, North Carolina – a small town with less than 500 residents. After graduating from Granville Central High School, Luke attended the University of North Carolina at Chapel-Hill where he studied Mathematics. The semester immediately following his graduation, Luke began his pursuit of a Master’s Degree in Mathematics at Appalachian State University. 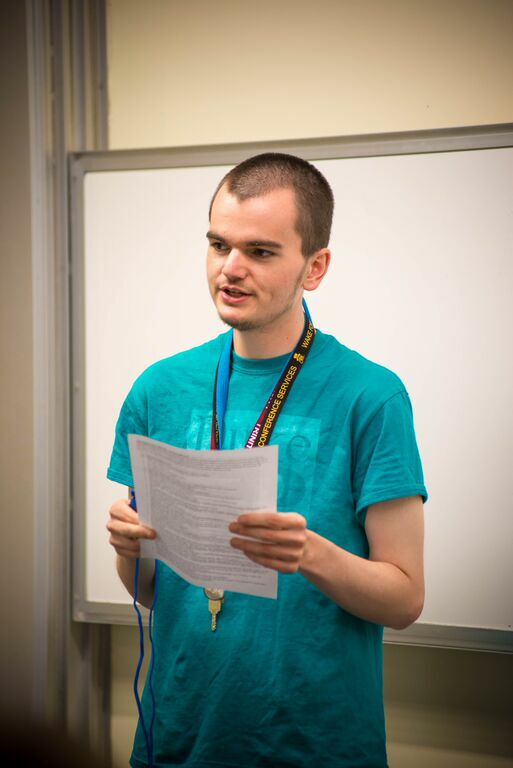 Luke’s love of mathematics and education alike led him to join the PRIME program in Fall 2015. While attending Appalachian State University, Luke held instructor positions at Wilkes Community College and Appalachian State, where he taught college algebra and statistics. Now in the Program in Mathematics Education, Luke continues to work as an online course developer for Duke’s Talent Identification Program; participates in MathCounts at McDonald Middle School; is involved with two of MSU’s mathematics education committees: Course and Curriculum as well as Recruitment and Admissions, and conducts teaching workshops for graduate students at MSU for the Inside Teaching Program through a fellowship provided by the Graduate School. Luke’s goal for his remaining time at PRIME is to “continue developing [his] knowledge base with respect to literature in mathematics education”. Luke simply believes that a person always has more to learn and that we can apply the knowledge gained to solve the current problems we are facing. While Luke has admirable drive and ambition, he also does enjoy taking a break from research and his studies. Some of his favorite hobbies include reading “non-educational things,” traveling, playing tennis, and of course, dogs. Upon his graduation from MSU and the PRIME program, Luke’s dream is to work for a Research I institution in a research professor position.